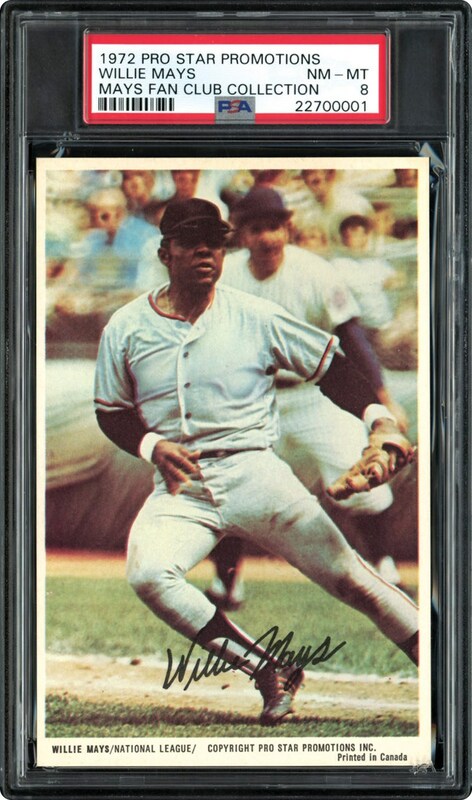 This 3-1/2" x 5-1/2" color photocard has a facsimile autograph on the front. This 40 card set was issued in Canada and focused on the Montreal Expos. No logos on the players makes this an unusual series. 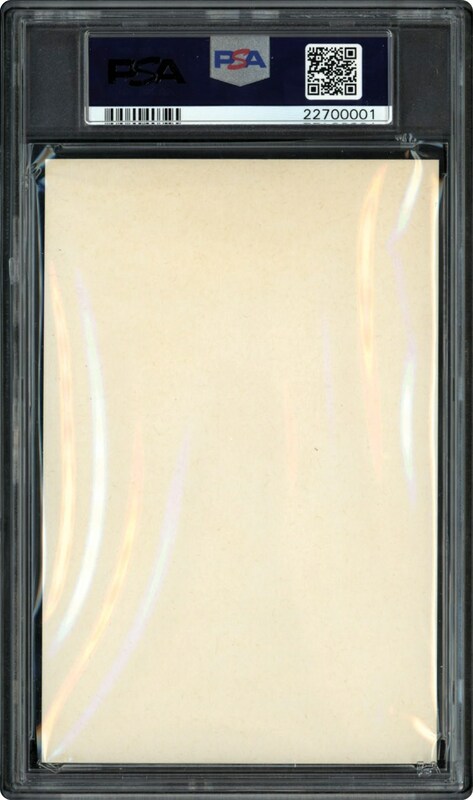 Offered here is Willie Mays in a PSA 8 NM-MT holder. As good as it gets, nothing grading higher than this one.